The Cirque Flush Mount is a gorgeous round pressed glass shade. With a cast metal base and smooth, sleek surface, this light will grace your home with sophistication and style. 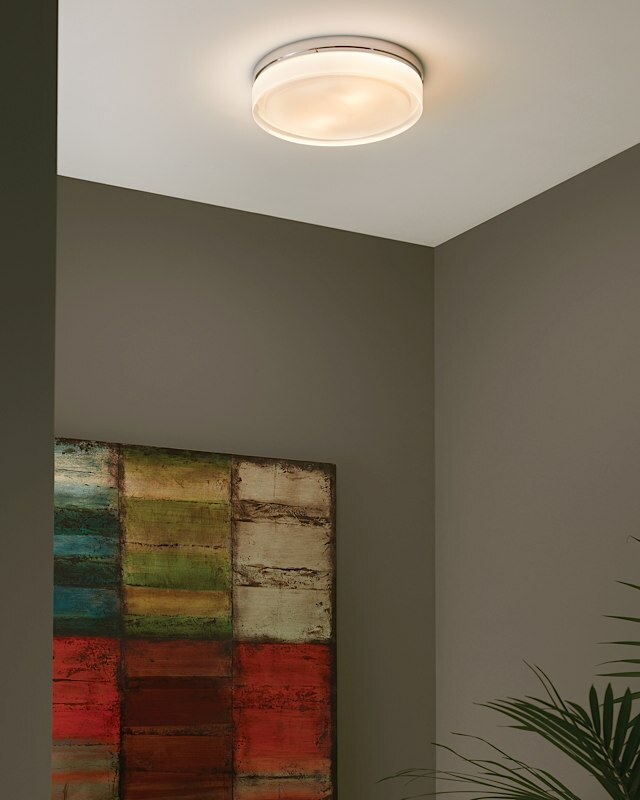 The light can be mounted on the ceiling or wall! Select from incandescent, fluorescent or LED lamping. Incandescent has two 120V 40W G9 halogen lamps, dimmable with a standard incandescent dimmer (not included). Fluorescent includes two 13 watt 2GX7 base twin tube lamps and electronic ballast. 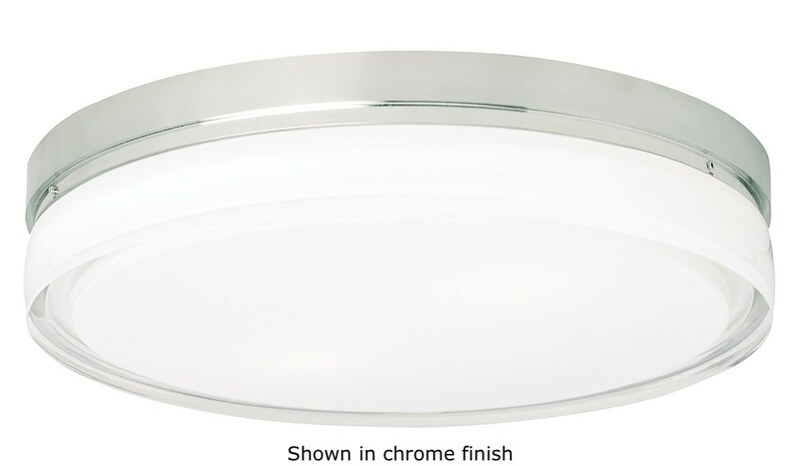 LED includes two 10 watt, 600 lumen, 2700K LED modules, dimmable with low voltage electronic dimmer (not included). Suitable for wet locations. ADA compliant.